Has the cold weather started to get you down? Are you feeling groggy and slow in the mornings and overdosing on coffee to compensate? If this describes you, you’re not alone—but you don’t need to stay stuck in low gear until spring. Instead, reach for your favorite mobile device. It seems like technology can solve everything these days—and your slow mornings are no exception! Here are three apps to get you waking up happier, your brain moving faster, and your body energized for the day ahead. 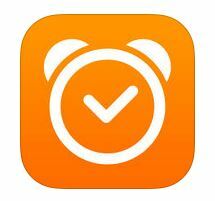 The Sleep Cycle alarm clock tracks your sleep during the night to make sure you wake up at the optimal time. Rather than waking you up from a deep sleep, your alarm will go off when you are in a light sleep, therefore making it easier to wake up. The app works by analyzing your sleeping patterns throughout the night. Your phone must be charging and next to your bed to use the app, because it uses the microphone to listen to your movements during the night. The alarm on the Sleep Cycle app then wakes you during a half hour window of when you set the alarm (for example, if I set my alarm for 7 a.m., it will go off between 6:30 a.m. – 7 a.m., depending on when I am in my lightest sleep). This helps the user wake up happier and makes waking up easier. 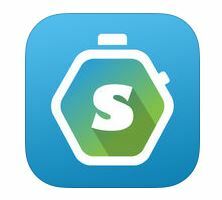 Sleep Cycle’s motto is that the problem isn’t you—it’s your alarm clock! After waking (and maybe after that cup of coffee), the next step of the day is to get your brain rolling! Elevate is a “personalized brain training” app, that helps improve reading, writing, listening, speaking, and everyday math skills. 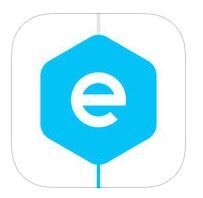 This app has been given several awards, most notably iPhone’s “App of the Year Award” in 2014. The games on the app are supported by research and educational experts and promise to boost brain power. The app consists of three mind games a day, focused the different subject areas mentioned above, to create a single daily session. Each game takes only about a minute and they’re practical, yet also captivating and fun. I use the app, and I have never once wondered how the games would help me, nor have I been bored. Rather, the games wake my brain up and get it churning for the day ahead. 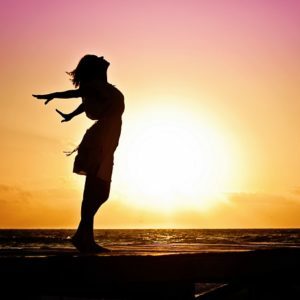 Now that you have woken up lively and gotten your brain rolling, the last step left for a successful morning is to energize your body for the day. If you lack the time to take a long morning run, yet you still want to get those muscles moving and your blood flowing, this is the app for you! Workout Trainer offers several video tutorials on workouts ranging from 1-30 minutes. You can choose the area you hope to work on, the intensity of the workout, the time of the session, and even create your own personalized workouts on your dashboard. Each of the videos has a “trainer” which times your workout, and talks you through all the movements. If you like a specific trainer or drill, you can save the exercise or search the trainer for more of their videos. You won’t be waking up on the wrong side of the bed ever again with these three apps. Combined, they should not take more than a half hour each day and will help you fight the winter blues. All three of these apps are free and available for both Android and Apple devices. You can still have that coffee, but you might not rely on it quite so much for a successful start!